I'm starting to feel the air change into the fall season. Last week I took photos of my August garden and today I want to give you a closer look at some of my treasures in the garden that give me so much pleasure. My sweet angel is standing in a bed of blooming Veronica. The little angels are watching from the picnic table. The grape vine and roses are showing signs of fall. I can't wait until it's cool enough to set another tablescape under the pergola. Maybe next week. Sweetheart repaired a 30 year old faucet and I just couldn't throw it away. I love bird houses. What's the buzz? I found this cute flag on clearance, but I had to buy a flag holder at Walmart at full price. Another view from the end of our property. 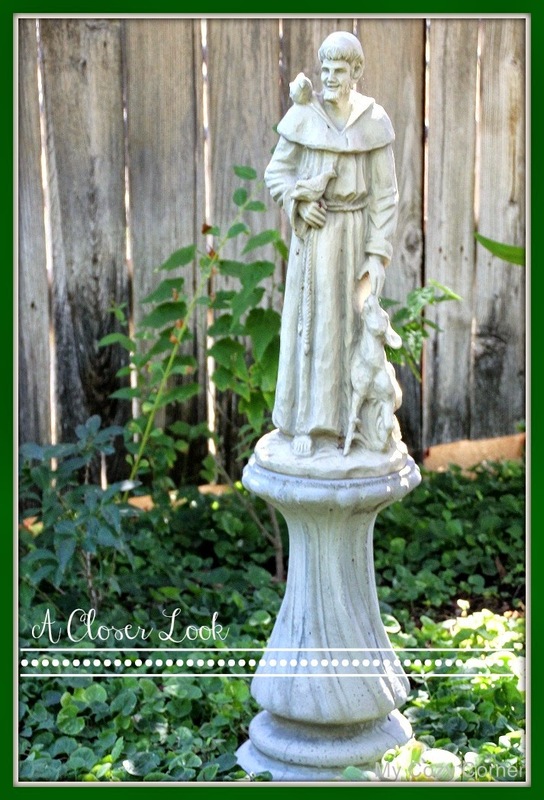 St. Francis of Assisi has a new pedestal. 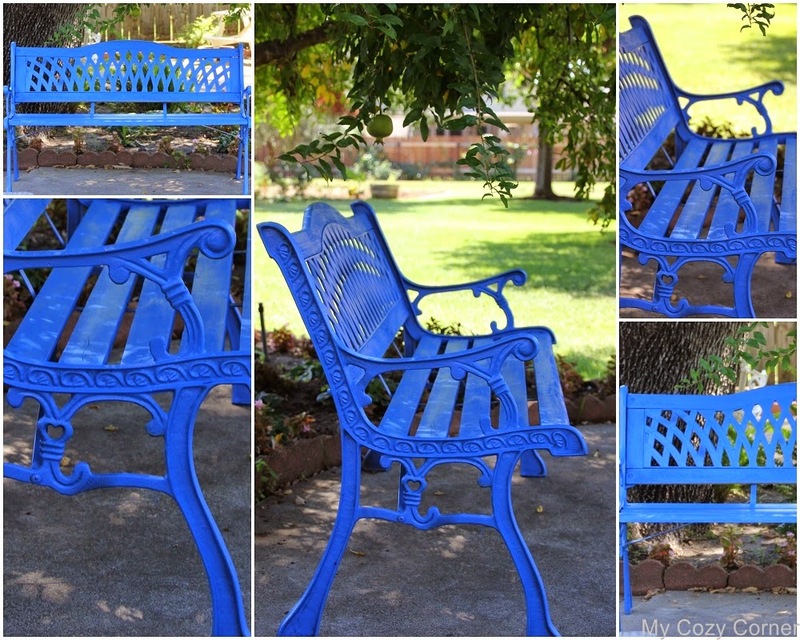 Your garden is so pretty...I love the blue bench too! Hello Betty, such a pretty garden. i have that very same birdhouse. The bench is so vibrant and pretty. Thank goodness for spray paint.